From big box to boutique, there are more than 2,400 retail establishments in Macomb County. As personal income, consumer confidence and county population continues to surge, conditions here are prime for growth in the retail industry. 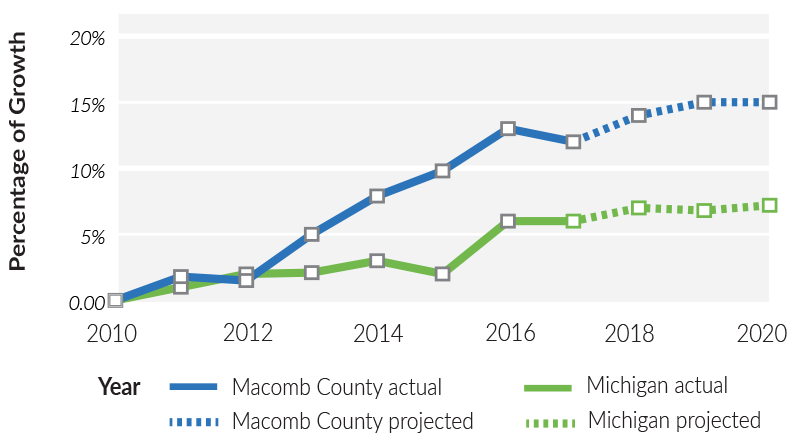 Macomb County is home to two of Michigan’s fastest growing communities and has seen a strong employment growth. These conditions, along with vibrant commercial corridors such as Hall Road, which generates more than $1 billion in retail sales per year, and Gratiot Avenue, mean Macomb County offers a distinctive shopping experience and serves both a local and regional market. Three regional malls are anchored by the nation’s top retailers providing a unique experience that may include finding a great bargain, seeing a movie, playing a game, enjoying a good meal or simply people-watching.  Macomb County is home to nearly 1,600 independently-owned and operated retail establishments that offer an eclectic mix of merchandise, ranging from antiques and collectibles to yard and garden. Make Macomb Your Home’s interactive map of independent retailers can help you choose your next favorite place to browse and shop local. Since 2010, Macomb County retail labor force increased from roughly 38,000 to 43,000. Overall, a healthy growth in total employment in the county and region has led to more disposable income, creating new opportunities for growth within the retail sector. With a population that grew by an average of 14 people per day since 2000, Macomb County is a preferred location to engage in retail. Macomb County possesses an integrated transportation network connecting the region of more than five million individuals, and draws consumers from around the Great Lakes region including Canada. Our site selection services can find your business a premier location within the county to provide you with the strongest possible location advantage. With more than 14,500 acres in the county zoned for retail operations, we can find a place for your business to thrive. Cabela’s, the world’s foremost outfitter of hunting, fishing, boating, camping, shooting and related outdoor recreational merchandise, opened its Macomb County facility in 2017. Just off of Interstate 94 in Chesterfield Township, the outdoor megastore created roughly 175 full-time, part-time and seasonal employees. The new store is approximately 90,000 square feet. Cabela’s, headquartered in Sidney, Nebraska, was founded in 1961. In 2018, Art Van Furniture completed its third significant expansion at its Warren headquarters - investing in state-of-the-art e-commerce and digital facilities to accompany its showroom, distribution and warehousing facility and corporate headquarters. Officials with the company said the expansion was necessitated by the company’s rapid growth during the past three years in Michigan, Illinois, Indiana and Ohio. Art Van now has more than 2,500 individuals working at its Warren campus and achieved more than $1 billion in annual sales for the first time ever. Ball Equipment, a Richmond-based lawn equipment and motorsport retailer, recently purchased Peak Powersports to add Articat and Honda motorcycles to its product line. The company also purchased a 50,000-square-foot facility in Chesterfield Township for the warehousing of original equipment parts and the repair of all-terrain vehicles, snowmobiles, lawn equipment and motorcycles. In order to meet the growing demand of both in-store and online sales, the company renovated the Richmond facility with an investment of $2,550,000. Macomb County, with its vast network of economic development tools and agencies, connected Ball Equipment with Michigan Works to help fill its talent needs.